Symposium continues to make major inroads in the military market with the announcement of new alarm monitoring systems for CFB Trenton and CFB Greenwood. CFB Trenton is a major logistics and staging area for many of Canada’s overseas missions, home as it is to major transport and re-supply squadrons. The base’s Hercules and Polaris aircraft are also engaged in more traditional search and rescue work, often flying missions of mercy across the length and breadth of the country. On top of this, Trenton is home base for the Challenger jets that provide transportation to the Canadian Prime Minister and Governor General, as well as members of the British Royal Family when they visit the country. 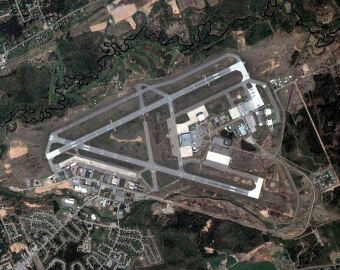 CFB Greenwood, located in the Annapolis Valley of Nova Scotia, is a major naval aviation center that plays host to a wide variety of aircraft with missions based around long-range maritime and arctic patrol, anti-submarine warfare, and search and rescue. In both cases, Symposium is providing sophisticated central alarm monitoring systems that will allow personnel to better supervise and secure the large and sensitive installations located at each facility. In each case, the system will be integrated with a wide variety of remote sensors that will provide instant alerting regarding potential alarms, including location, type, suggested operating procedures, and a variety of other information. As well, there are plans to incorporate Symposium’s EM Mobile mobile data system to provide in-field responders with real time access to alarm monitoring and response information. With this new system, military clients now have the full range of detection and response capabilities in one package. Not only can they better see what’s happening in real time, but the CAD itself enables them to respond better by helping decide who to send, and what resources and SOP’s are appropriate to the task. Working in partnership with Siemens and Electronic Surveillance Corporation, the new Symposium installations represent some of the most advanced monitoring technology currently deployed in the world. According to ESC’s Gord Duggan, some of the sensing equipment is so advanced that ESC is the only company to date to successfully meet the new ULC 559 listing. With the addition of these two new clients, Symposium’s Horizon EME Alarm Monitoring System has clearly emerged as the system of choice for the Canadian military in providing comprehensive monitoring for army, air force, and navy bases throughout the country. With our extensive experience in providing mission critical alerting and real time protection for sensitive government installations and critical infrastructure throughout North America, Symposium is rapidly expanding our position in this market. With literally tens of thousands of sensitive installations ranging from nuclear plants to chemical factories, there’s an urgent need for technologies which have the flexibility and power to head off emergencies before they happen, and to better respond when they do. With Symposium’s expertise and experience in response technology and integration, and reputation for getting the job done on time and on budget, we expect to continue expanding our work in this area, and helping clients conduct their missions with greater safety and peace of mind. For more information, or for those interested in seeing the system in action, please contact Symposium by emailing us at info@symposiumtechnologies.com.